For my pic this week I have chosen a fall sunset viewed from my backyard. 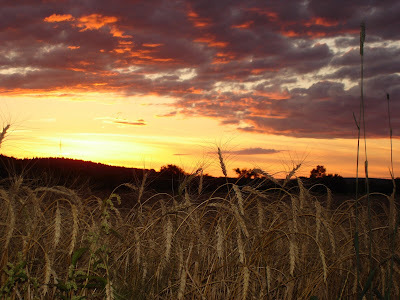 The wheat gives the whole pic a golden aura and really creates a sense of wonder. I also really like the way the timothy frames the right hand side of the photo. It is one of my favorite pics. I truly appreciate my backyard when I look at this pic, but everyone should learn to appreciate what is in their own backyard. Enjoy.